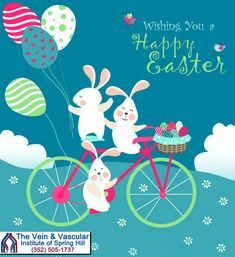 The vein specialists at The Vein and Vascular Institute of Spring Hill are committed to their passion and mission of providing excellent vascular surgery services to all their patients. Our top-rated vascular surgeons treat arterial disease and venous disease applying the latest and best vascular surgery techniques. Our Spring Hill vein treatment center is one of the few in Florida that is a Nationally Accredited Vascular Laboratory. At The Vein and Vascular Institute, we have the most advanced technology available anywhere to accurately and painlessly diagnose and treat all artery and vein diseases that affect 100 million Americans today. At our vein clinic, treating patients with vascular diseases at their earliest stages, is our top priority, because vascular diseases are progressive and they will only get worse with time. Unfortunately, patients that delay seeking the help of a vein doctor are putting their overall health at great risk. If left untreated, vascular diseases can cause very serious symptoms such as: enlarged and painful varicose veins; spider veins; swollen, throbbing and painful legs; leg ulcers; irreversible skin discoloration; restless legs; dangerous, potentially fatal blood clots; a pulmonary embolism; and limb loss. Early vein disease treatment, proven technology, and a world-class team of vascular specialists and Board Certified Vascular Surgeons are the main components needed for getting great vein surgery results. Our vein doctors have performed thousands of vein surgeries, achieving amazing outcomes. If you are experiencing any symptoms caused by vascular diseases and you live in the Spring Hill area, give us a call at (352) 505-1737 to schedule a vascular consultation, because one consultation with the right vascular surgeons can improve your quality of living and can even save your life. I read this article and found it very interesting, thought it might be something for you. The article is called Vascular Surgeons Spring Hill Fl and is located at https://www.veinandvascularofspringhill.com/.